“You’re going to Disney World without kids? ?” We get that question a lot. Most people think of Walt Disney World as a place geared only for children and nothing more. Well listen up, most people, because I am about to change your mind! 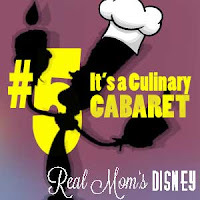 Disclaimer: I’m not a “Real Mom.” Not yet, anyway. My husband, William, and I have been married for four years. We love taking Disney trips together even though we haven’t jumped on the baby train just yet. (We’ll get there, Mom, I promise!) 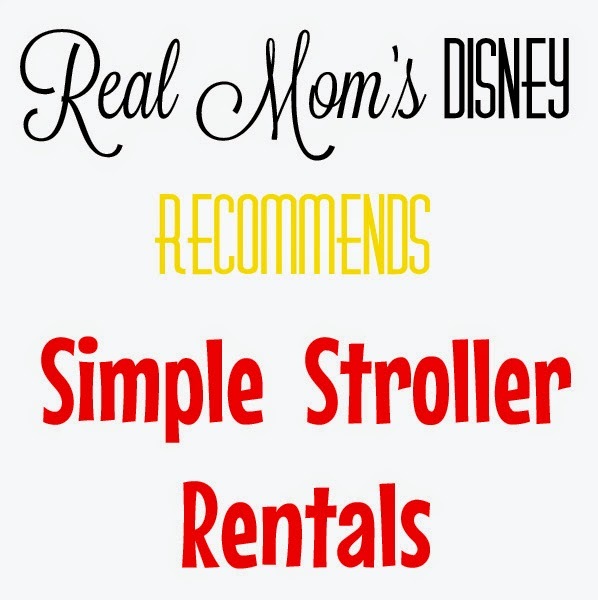 I am, however, friends with a “Real Mom,” and when she asked me if I would like to write as a guest for her blog based on a recent trip to WDW, I enthusiastically agreed. That doesn’t mean that you should stop reading if you are a parent. My goal is to not only prove that Walt Disney World is a great vacation for adults traveling without kids, but it’s also a great place to take your kids and still have fun yourself. If you thought the only meals at Disney World consisted of fair foods like corndogs and hamburgers, think again! WDW actually has many fine dining restaurants throughout the parks and resorts that would impress any foodie. When William proposed several years ago, he had never been to Disney (gasp!). One thing I knew for sure, though, is he loves to eat and that was the best way to get him hooked on Disney. v California Grill (Disney’s Contemporary Resort): This restaurant is perched on the top floor of the Contemporary Resort. While it overlooks Magic Kingdom and has a great view of Cinderella’s Castle, it also has a decidedly adult atmosphere that is sleek and modern. If you are looking for a place to wear a fancy dress on your trip, you will fit right in here. When you check in for your reservation, you are escorted up the elevator in VIP-style to an elegant but modern dining room. If you like sushi, this is your place. If you like wine, this is your place. But there are other yummy things on the menu like the Oak-fire Filet and Pacific Halibut to please the non-sushi folks. We got the cheese plate and really enjoyed it, too. Don’t forget to check out the cocktail menu. The Blood Orange Mule is my favorite drink there, but I’m a sucker for any variation of the Moscow Mule. v Le Cellier (Canada Pavilion, World Showcase at Epcot): Dimly-lit and intimate, this cozy little wine cellar is a hard-to-get reservation, but oh-so worth the effort! I snagged my first ADR at Le Cellier on our most recent trip and it was everything I expected and more. They have an extensive wine list to choose from and you have to order the Canadian cheddar cheese soup as an appetizer. Try dipping the pretzel bread in the soup – YUM! I got the filet mignon with mushroom risotto and it changed my life. v Monsieur Paul (France Pavilion, World Showcase at Epcot): Cards on the table, I ate here back in 2006 when it was called Bistro de Paris and have not been since the name change. I had to include it now, though, because eating here is such a special experience for adults wandering the World Showcase. It is tucked off a quiet corner of the France pavilion and truly feels like you are dining along the streets of Paris. It is romantic and an authentic Parisian experience. My food was wonderful nine years ago and I hear the quality has not changed with the name. If Victoria and Albert’s sounds too intimidating and expensive (like it does for me), I think this is a great up-scale alternative for your trip. Plus, you will have an easier time getting reservations here than some other places. v Sanaa (Disney’s Animal Kingdom Lodge): God gave us three meals a day for a reason and I believe it was to maximize our restaurant opportunities while at Disney. On our last trip, William and I took a quick five-minute bus ride from Animal Kingdom at lunchtime to go eat at Sanaa. It was one of my favorite meals and provided a quiet, air-conditioned chance to see the animals on the resort’s savanna while we ate. Because this restaurant was more secluded at the Kidani Village, which houses the resort’s DVC villas, it proved a great option for our adults-only trip. It was an up-scale environment that captured the setting of the Animal Kingdom lodge well. It has a great combination of African and Indian fusion entrees and we especially liked the naan bread service, which came with nine flavorful dipping sauces. Truly, the best thing about Sanaa was seeing the giraffes without tripping over strollers. v Breakfast at Cinderella’s Royal Table (Magic Kingdom): In keeping with the above point about maximizing your meals at Disney, I wanted to include CRT on this list. My Disney fans may be skeptical about this, but I stand by it. Whether you are dining with or without kids, I consider it a must-do at least once. If you are on your family vacation, it is obviously great for kids; however, know that you will enjoy it just as much. For one, our 8:05am reservations allowed us to enter the park at 7:45am, when rope drop wasn’t until 9am. This was huge for several reasons. For one, we were able to experience the magic of walking down a secluded Main Street, USA, and see the castle appear for us without throngs of sweaty tourists. Secondly, the restaurant is beautiful with detailed décor. The view of a quiet Fantasyland while you eat breakfast can’t be beat. The dining room is small and intimate, so you do not have the noisiness that comes with most character breakfasts. I had heard horror stories about the food while planning prior trips, but we really enjoyed our meals. I got French toast and William had the beef tenderloin. As I am typing this, I asked him how he liked his food at CRT and his response was “It was REAL good.” FYI, that’s a glowing endorsement from my picky-eating husband. We also got free-flowing juice, coffee, and a basket of pastries and fruit. This kept us full until dinnertime and helped us maximize our touring time in the park that day. We finished our meal around 8:45am and found, to our delight, that they had opened the line for Seven Dwarves Mine Train early and we got a chance to ride before the crowds swarmed at 9am. v ‘Ohana (Disney’s Polynesian Resort): If you want to see Wishes, the fireworks show at Magic Kingdom, but have no desire to sit on concrete for forty-five minutes and fight thousands of people to exit the park, I recommend a late dinner at ‘Ohana. If you have hit your theme park limit around 4:00pm and need a good drink and an air-conditioned place to relax for dinner, I recommend dinner at ‘Ohana. ‘Ohana is my favorite way to end a Magic Kingdom day and I think other adults would agree with me too. On our most recent trip, the Fall Break crowds were getting to us and we needed to get out of the Magic Kingdom for a break. I had made 6:30pm dinner reservations at ‘Ohana but we decided to take a boat ride from Magic Kingdom to the Polynesian resort at 3:30pm and hang out until our ADR’s. The boat ride itself was a relaxing respite from the crowds. Before our trip, I had been reading about Trader Sam’s Grogg Grotto and Tikki Bar. It was brand new to the Polynesian Resort and sounded so cool. 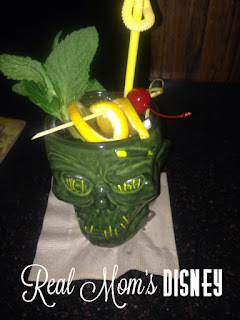 A mixology experience in true Disney Fashion, Trader Sam’s derives from the Jungle Cruise story and strange things happen throughout the bar whenever you order certain drinks. We enjoyed the Shrunken Zombie Head (delicious and STRONG!) and the crazy antics of the bartenders for a while before heading upstairs to ‘Ohana at 5:00 to see if we could get a table earlier than our reservations. Proof that it never hurts to ask, they were able to seat us right away. At ‘Ohana, you have a direct view of Magic Kingdom and Cinderella’s Castle. During the Wishes fireworks show (usually around 9 or 10pm), they lower the lights and pipe in the music for you to enjoy as you dine. If you get reservations for about an hour before the fireworks, you should be good to linger and watch the show. The view itself makes it an enjoyable dining experience for adults, but I haven’t even told you about the food yet. 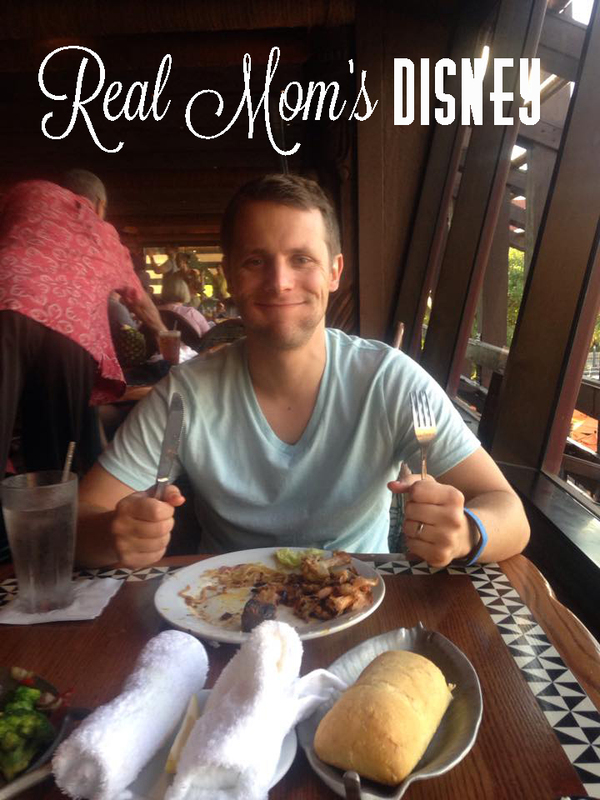 William marks ‘Ohana as his favorite Disney Dining experience and I can’t argue with him. For one, your meal is served all-you-can-eat family style, and the quality is on par with the quantity. You get pineapple-coconut bread, salad, pork dumplings, honey-coriander chicken wings, stir-friend veggies, teriyaki noodles, and bread pudding for dessert. Don’t make the same mistake I did on my first ‘Ohana trip: Pace yourself! It’s all delicious and you want to save room for dessert! v San Angel Inn (Mexico Pavilion, World Showcase at Epcot): William likes to tell a story about his Polish grandfather who denounced soup as a meal, famously saying “If I wanted to drink my meal, I’d go to a bar!” He, himself, adopts this principle and I have never been able to convince him to eat soup… until we got it for free at San Angel Inn. We were relaxed and enjoying the atmosphere when our waiter brought bowls of Sopa Azteca to try. It is a traditional tortilla soup and the flavor knocked our socks off. William finished his and then ate some of mine too. Besides the soup, San Angel Inn is a beautiful and romantic place to dine. It is indoors but looks as if you are dining under the stars at a Mexican marketplace. Below your tables is a river for the Three Caballeros boat ride and a volcano sits off in the distance. Keep an eye on it throughout your meal and you may notice it erupt. Besides the romantic atmosphere, the margaritas alone make San Angel Inn a good place for a date on your vacation. So those are my favorite places to eat on our trips. Whether you are traveling without kids, taking the kids, or leaving the kids with grandma in the hotel room for the night, there are so many good fine dining options at Disney. Honestly, picking restaurants is my favorite part about planning a Disney trip. Just remember to set your calendar 180 days before your trip to make your reservations. Some places won’t book up, but always better safe than sorry! COMING SOON: 4 MORE REASONS DISNEY WORLD IS FOR ADULTS TOO!